Gian Carlo Marocchi born in Imola on 7/4/1965 married with Barbara Barnabà. They have a daughter, Federica. He is an ex-football player, now works for Sky and is a supporter of Ferrari. He began his career in Bologna F.C., which bought him from the junior team of Imola, his town of origin. At the age of 17 he played in Second Division in championship 1982-83. In that year Bologna F.C. relegated and he became first-team player winning the championship of Third Division . Thereafter he has played for four seasons in Bologna becoming one of the best midfield players. 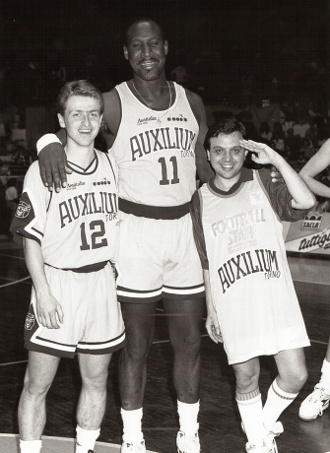 In 1987-88 he was one of the best players of the team moving up to First Division. His skill was immediately appreciated and many Italian teams tried to sign him on. He finally went to Juventus where he became first-team player taking part in all matches. 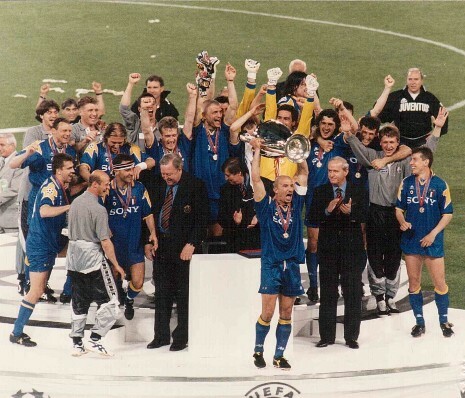 With Juventus he won the championship in 1995-95, the Italy cup in 1995 , the UEFA Cup in 1990 and in 1993. he also won the 1995-96 Champions League scoring one goal. 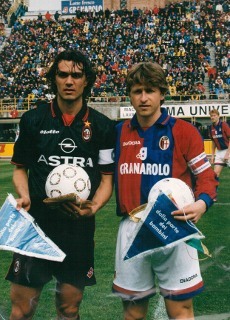 In summer 1996 he went back to Bologna F.C., he played four more Seasons then, at the age of 35, in 2000 he gave up his career as captain of the team. In 18 seasons as a professional he has played exactly 500 matches scoring 33 goals, 287 with Bologna(18 goals) and 213 with Juventus(15 goals). 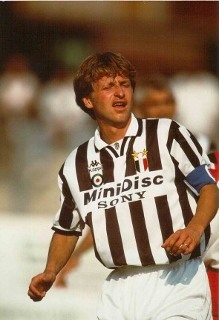 In first division he has played 329 matches (213 with Juventus and 116 with Bologna) scoring 20 goals. On December 22th 1988 he played his first match with the National team trained by Azeglio Vicini winning 2-0 versus Scotland. Between 1988 and 1991 he played 11 matches in the national team. He was one of the 22 players during the World Championship in 1990. His last match was on February 13th versus Belgium (0-0) in Terni. After his career as a footballer he played many roles in Bologna F.C. 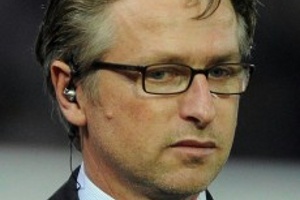 : observer, team manager and, from 2006 to 2010 he was responsible for the junior teams.